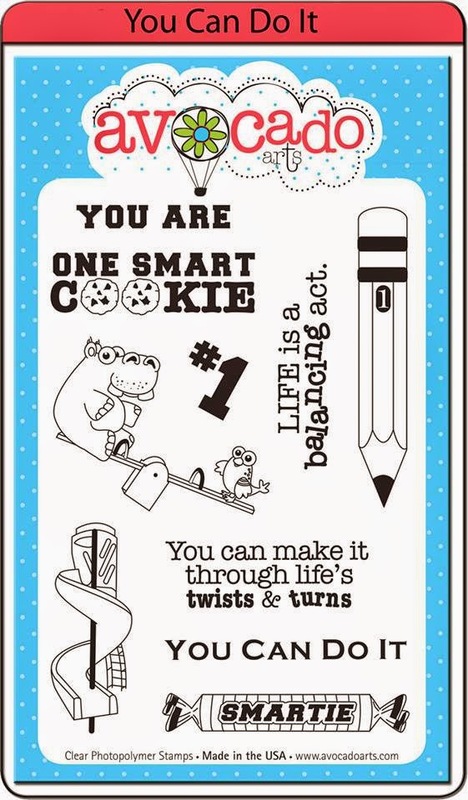 crafty goodies: Avocado Arts~ "Lunch Box Encouragements"
Hi guys!! 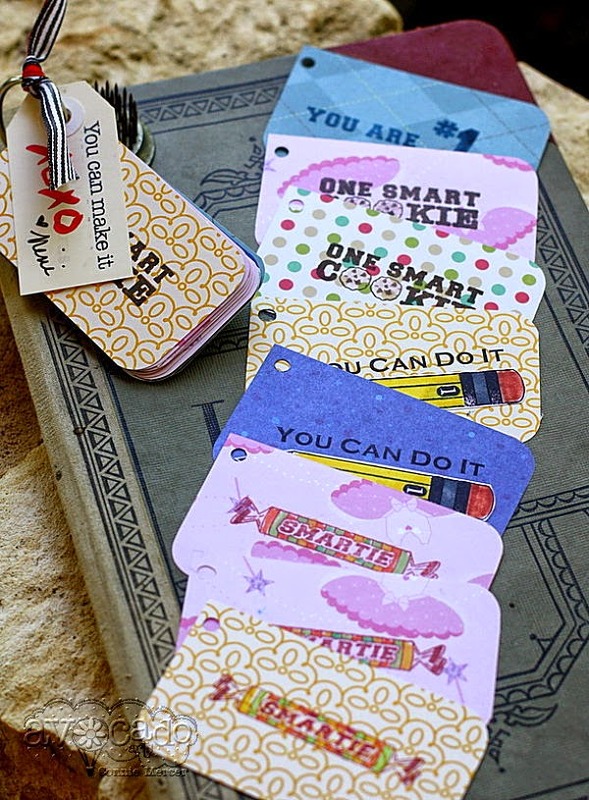 I had the opportunity to work with August set, called "You Can Do It"
"The stamps sounded like encouragements to me, so I thought~how about little cards (like calling cards). The cards measure 2" X 3-1/2". You can place them on a ring and then flip through to find the perfect one to add to lunch boxes, leave on a pillow, on the bathroom sink or any place that special person can see it and read it. There is plenty of room on the back to personalize the message or write an extra note." Ohhhhhhhh these are FABULOUS!!! I loveeeeeeeeee them!! Pinning!!!! !